By William Cork – Thirty years ago next month I raised my hand, took the oath of office, and was commissioned a Second Lieutenant, Chaplain Candidate, in the US Army Reserve. 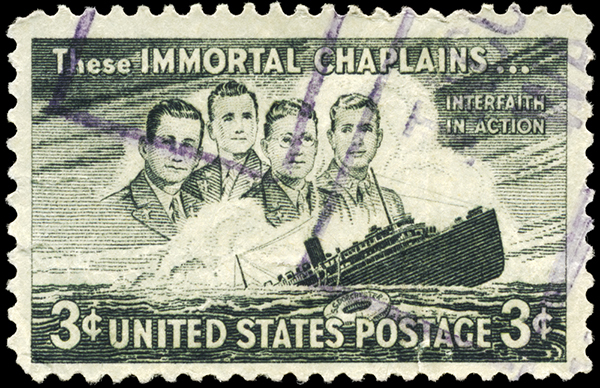 That summer, as a student in the Chaplain Officer Basic Course at Fort Monmouth, NJ, I first heard the story of the four chaplains: George Fox, Alexander Goode, Clark Poling, and John Washington. Four men of different faiths, bound by love–love for God, love for their country, love for each other, and love for their soldiers.